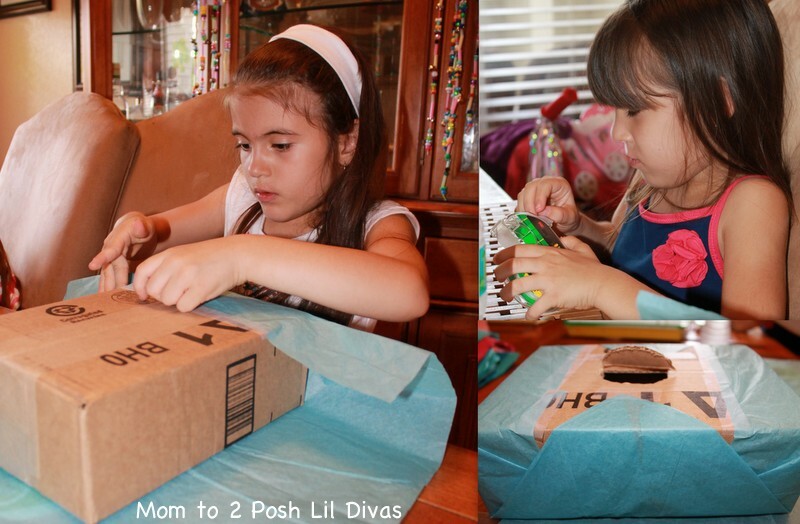 This year, the Lil Divas are determined to stop them. We used a cardboard box for our trap. You can use whatever you have handy. Brainstorm with your kids and let them come up with an idea. and decide what would work and what wouldn't. Below, I will share how we made our trap. Step 1. Cut a small hole into top of box near the middle. I did this part as it required a knife. Step 2. 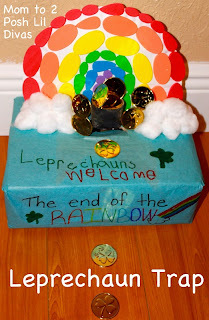 Cover box with blue tissue paper. 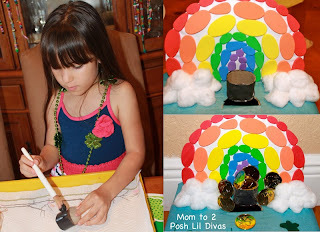 The Lil divas' idea was to make it look like the sky. Step 3. 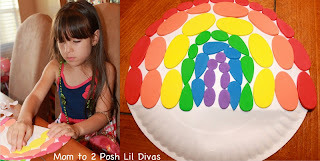 Make a Paper Plate Rainbow. We used stickers but you can use whatever you have handy. 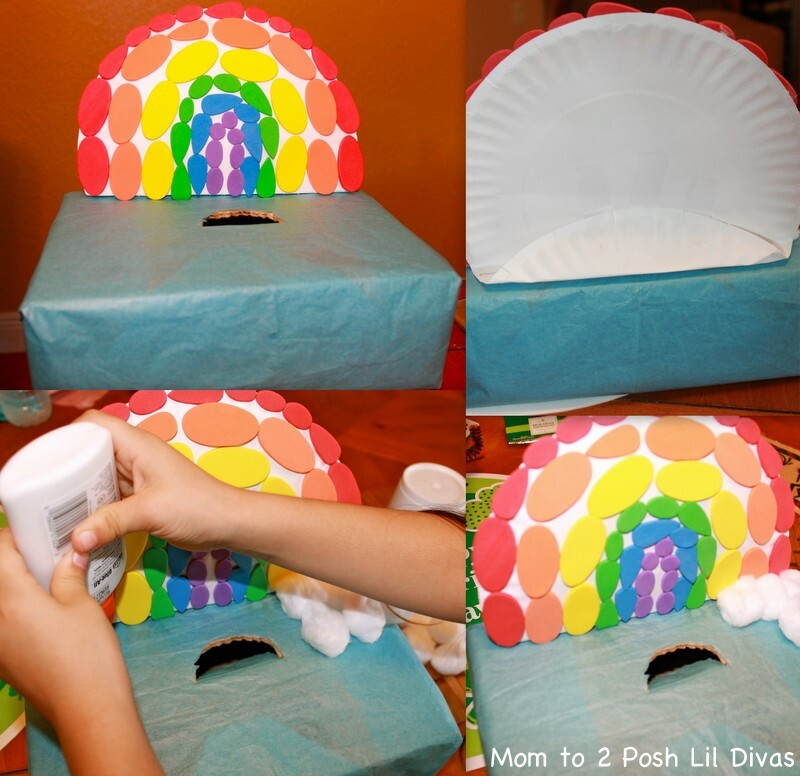 attach the plate to the top of your box near the hole. 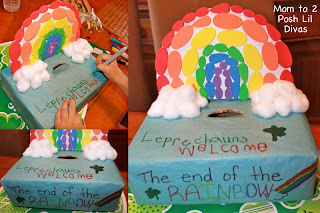 by painting it black and adding construction paper to the bottom. Step 8. Add gold coins. Make sure to make it enticing! 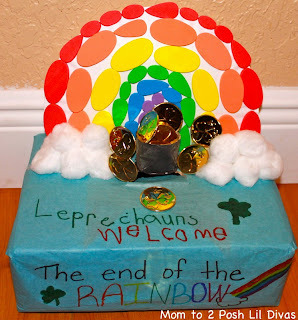 & wait for those pesky leprechauns to show up! Good luck catching yourself a leprechaun! grant you 3 wishes! What would you wish for? take a picture & make a book of all the kids projects. don't forget their name & date it was made! !